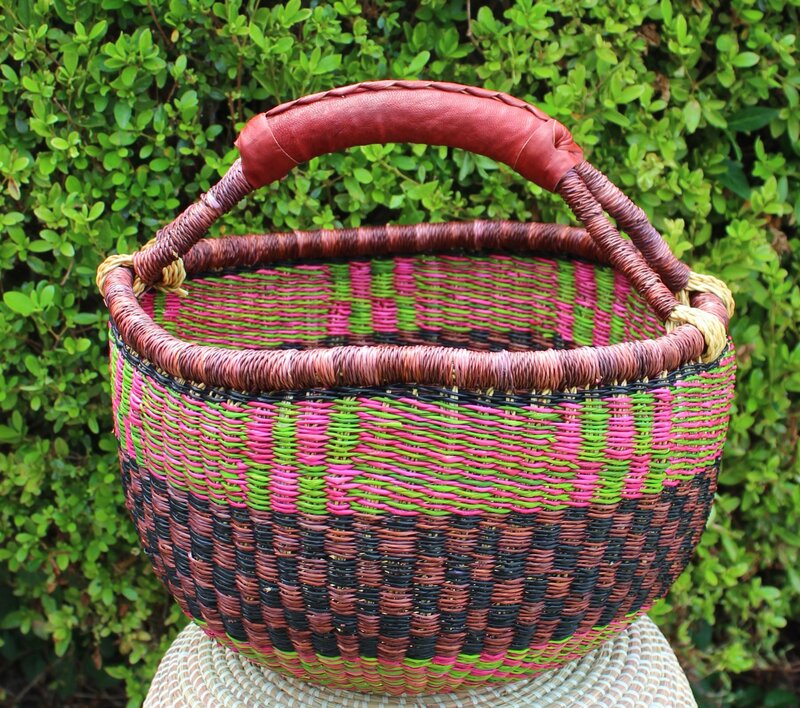 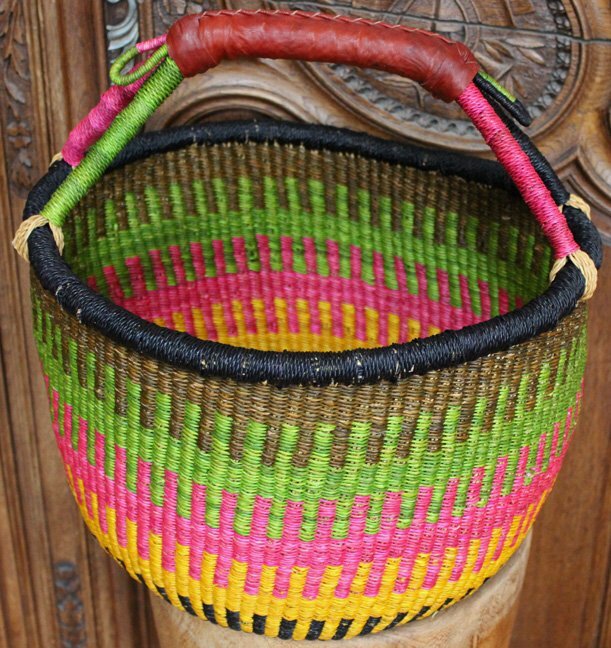 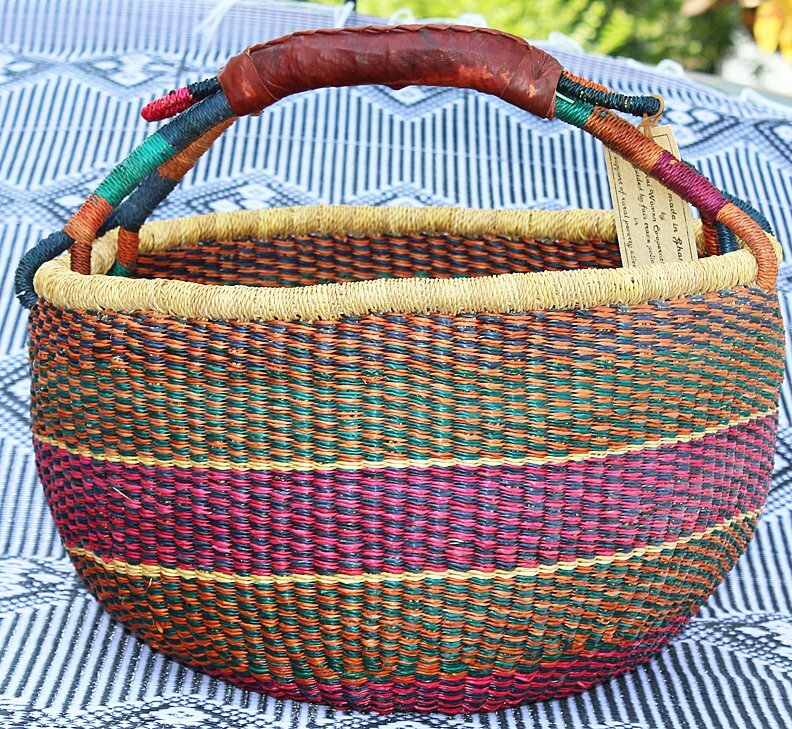 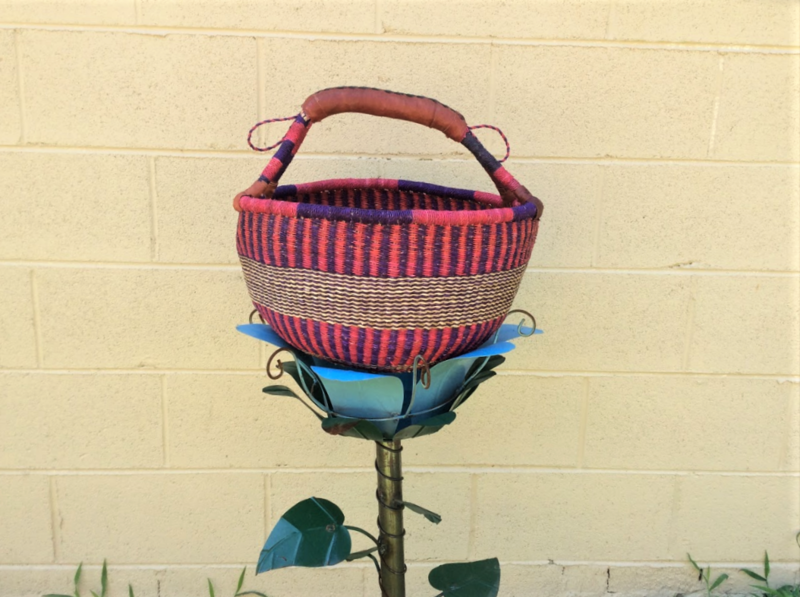 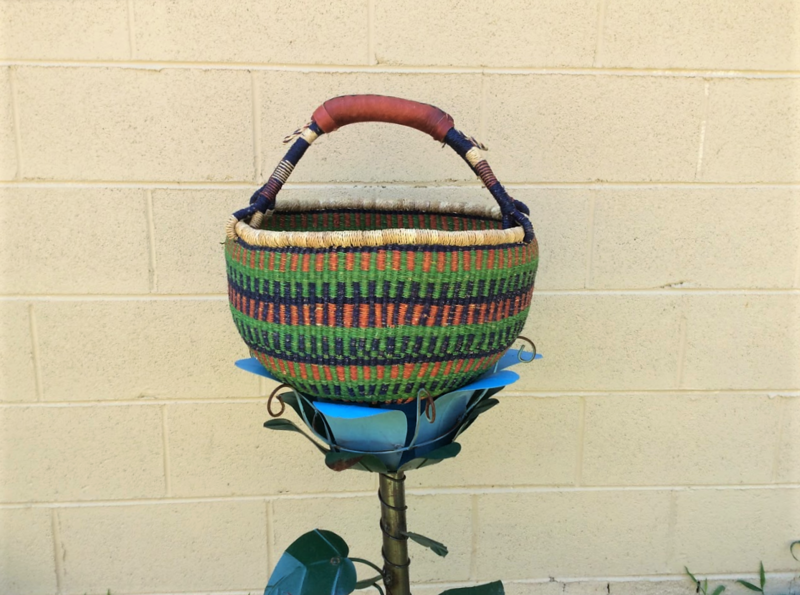 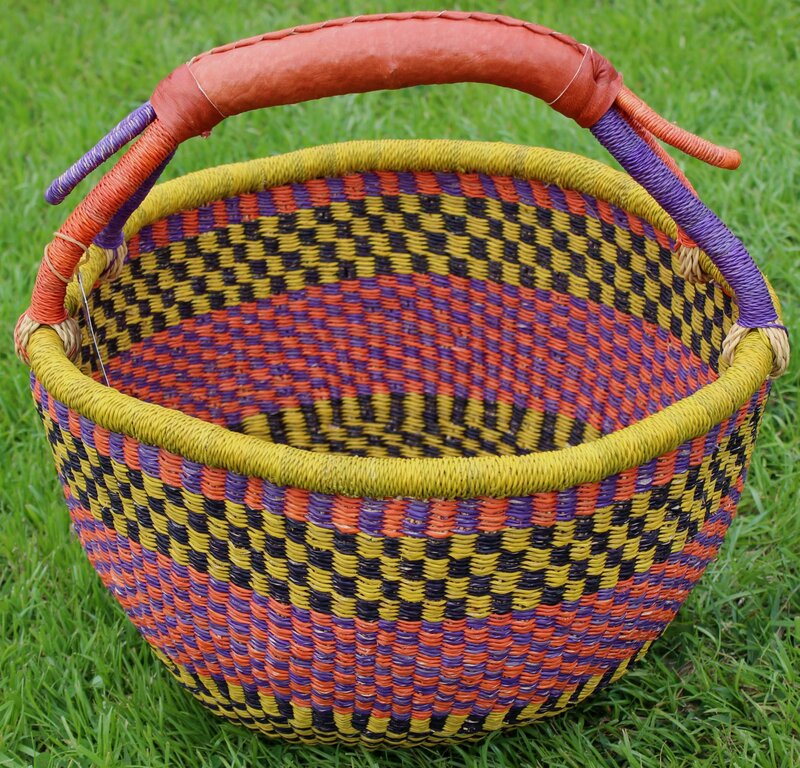 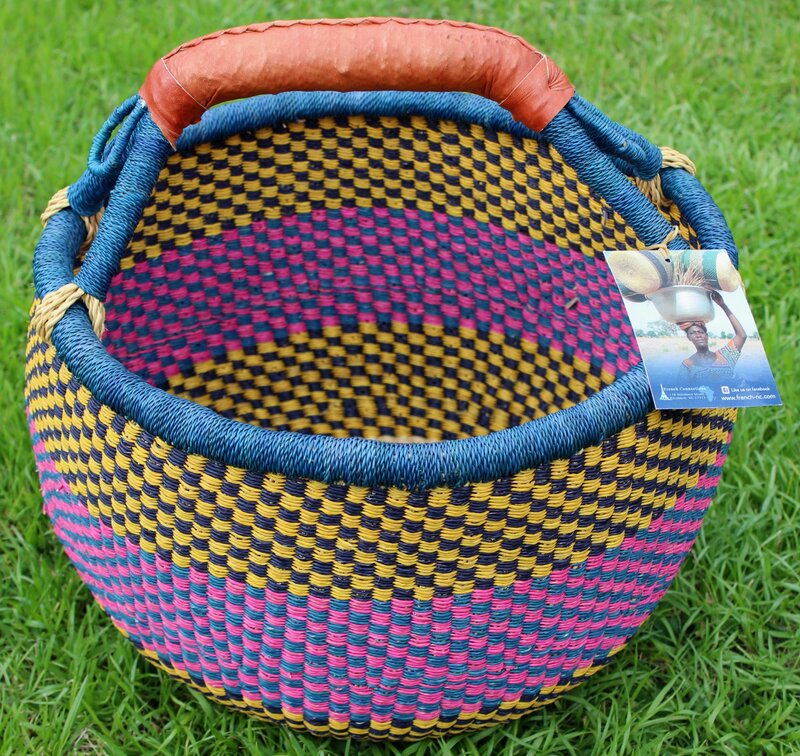 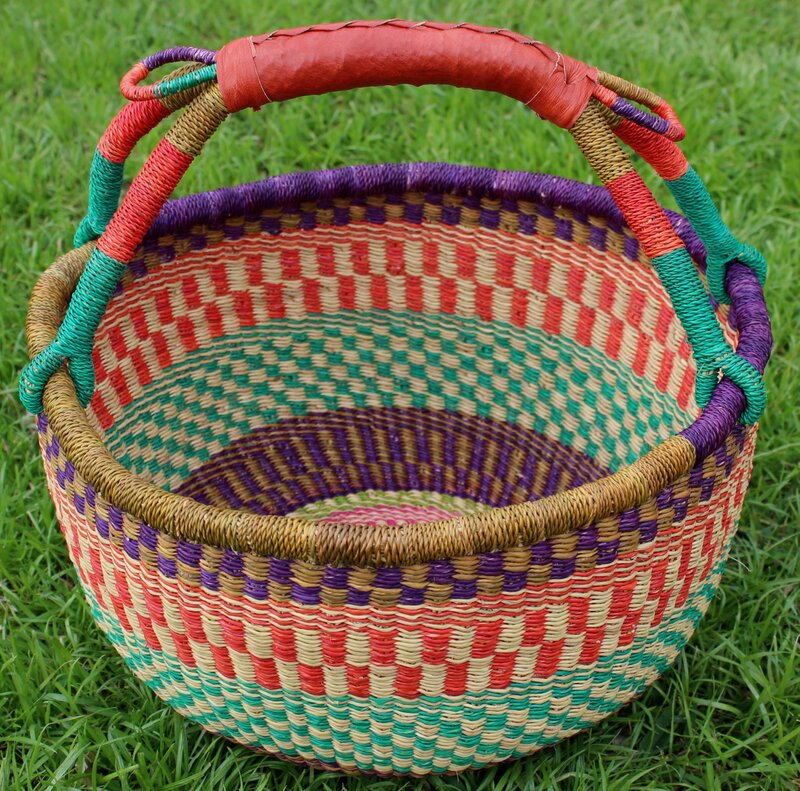 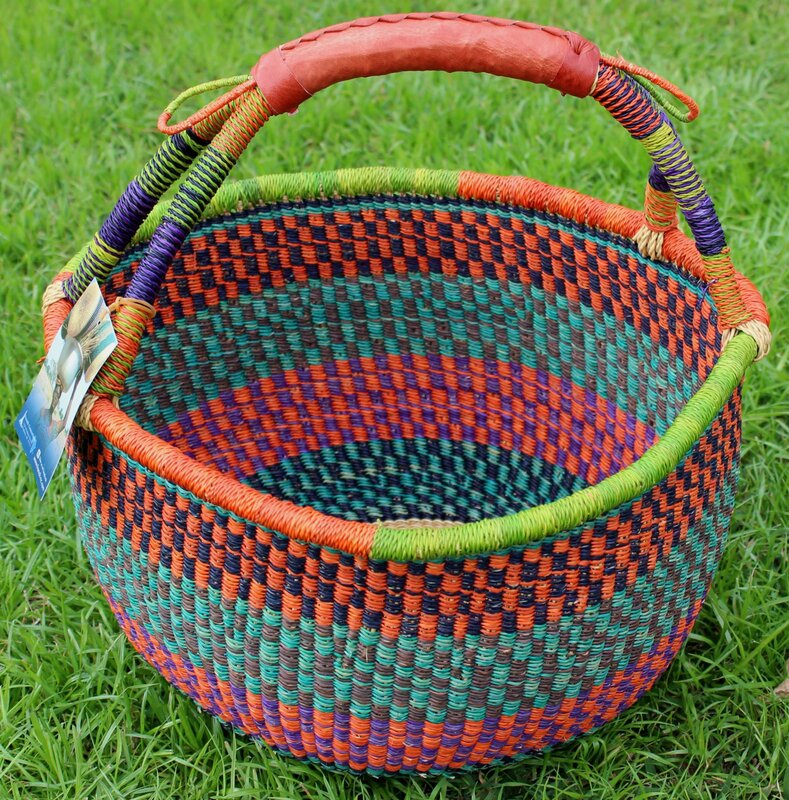 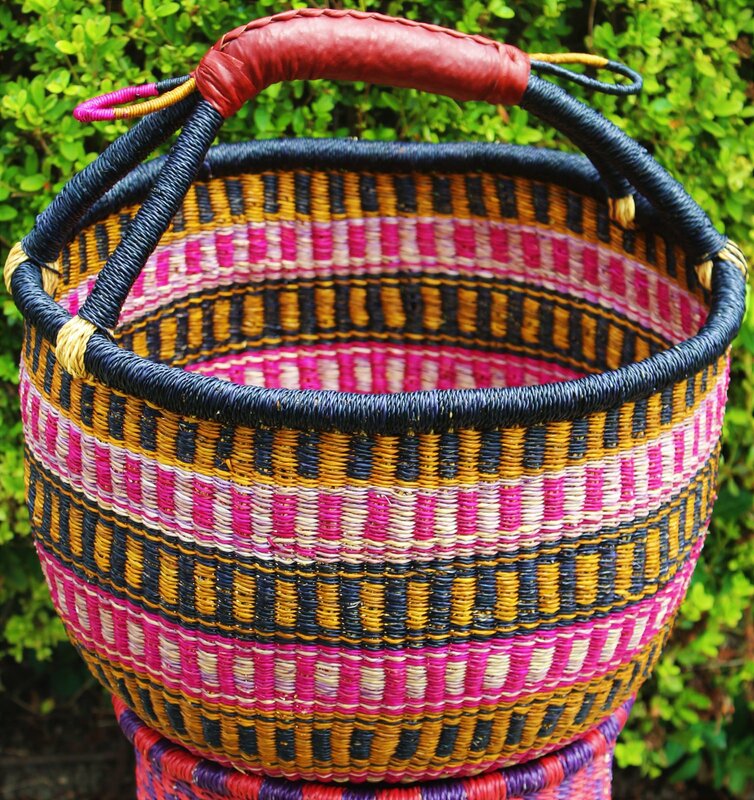 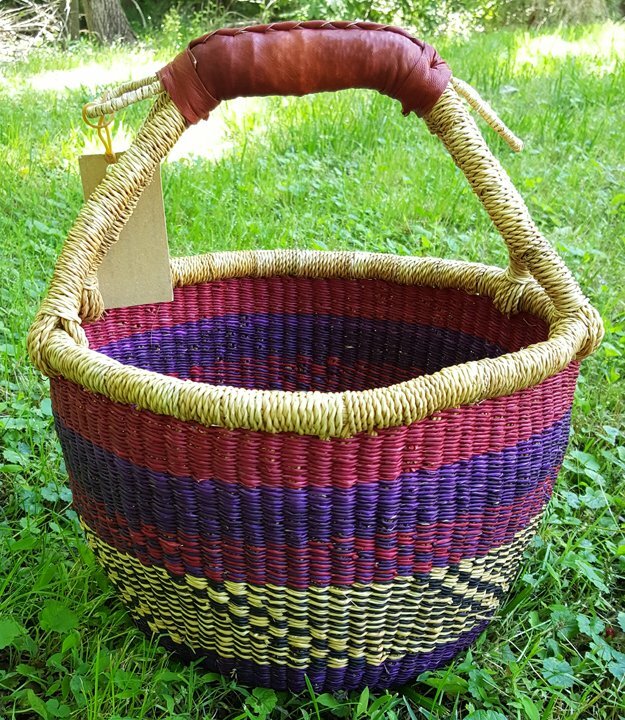 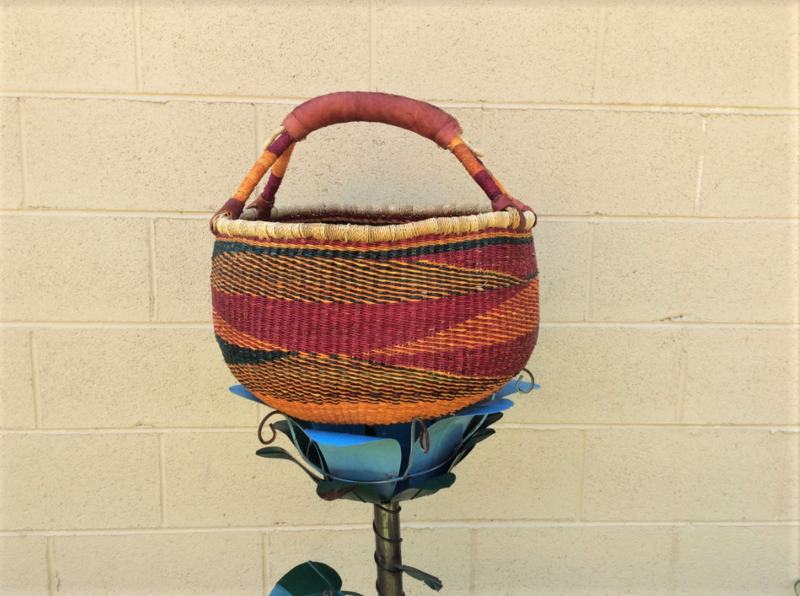 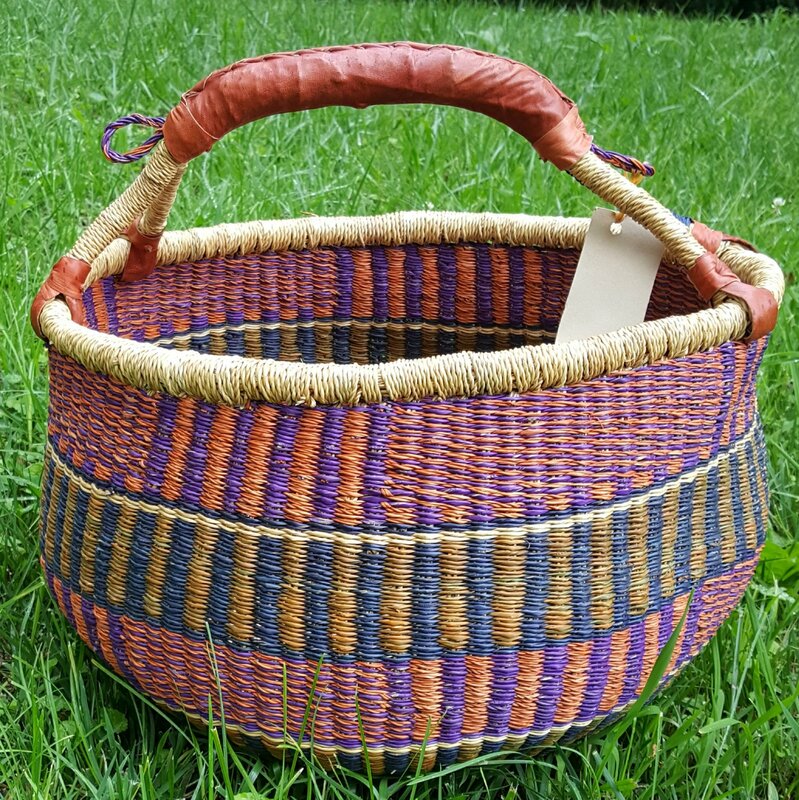 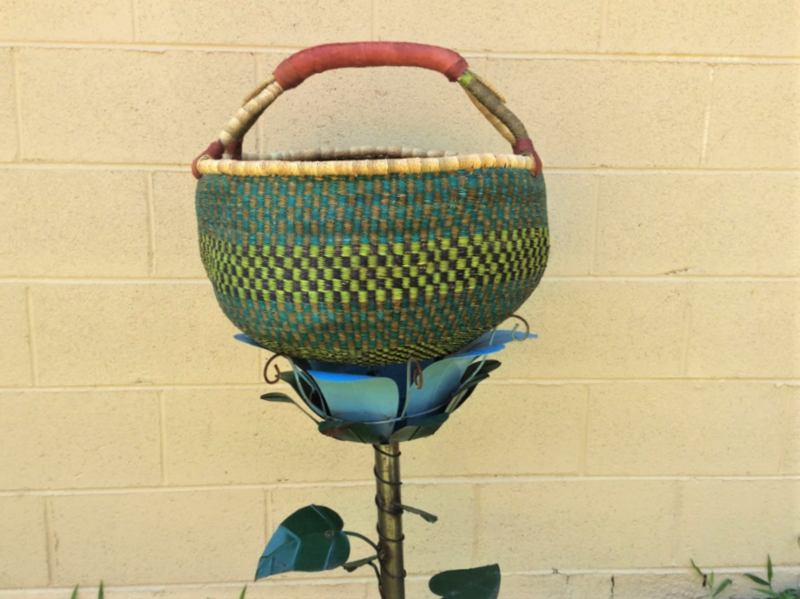 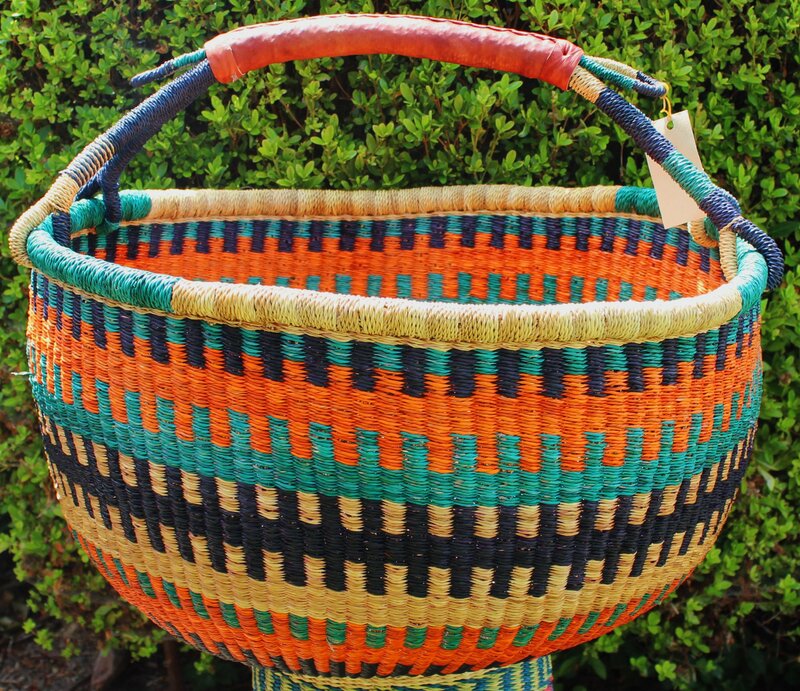 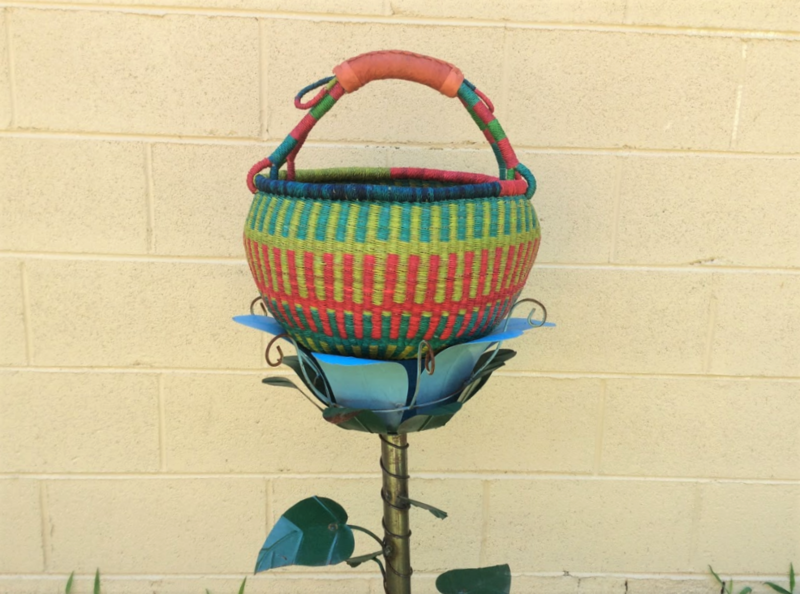 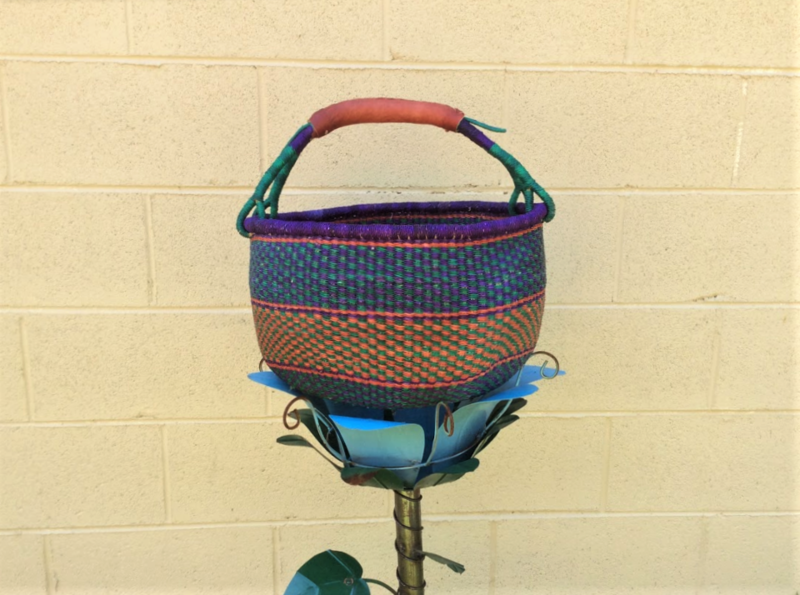 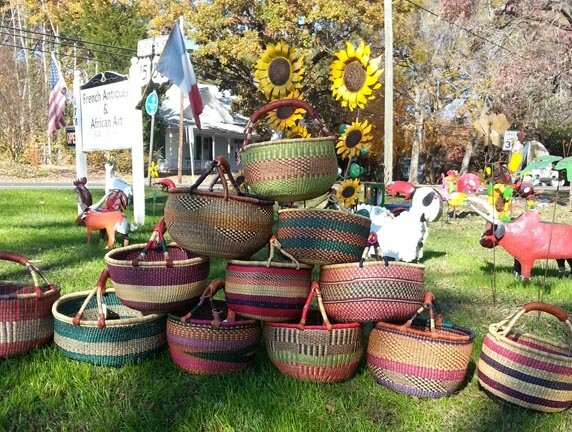 Large, round Bolgatanga market baskets are our best sellers and SO practical! 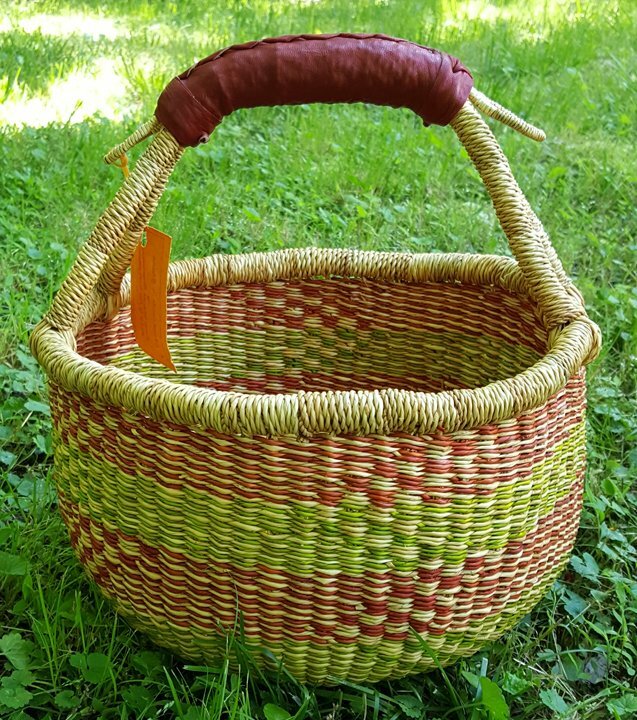 Use them to shop for groceries, pack a picnic, hold magazines, store a craft project, take to the beach, and hundreds of other ways. 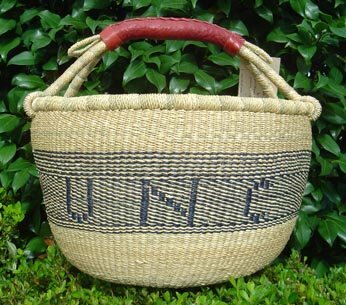 Woven by women using split and twisted grass. 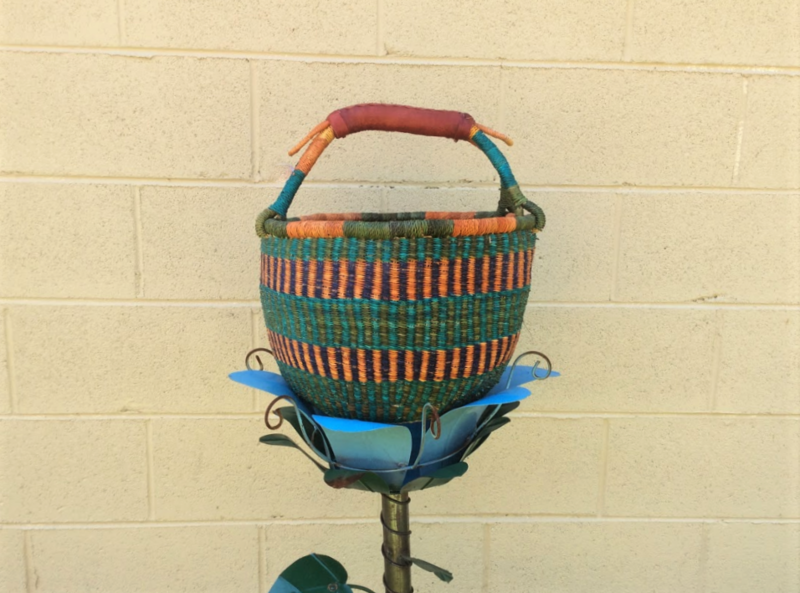 Sustainable and environmentally friendly. 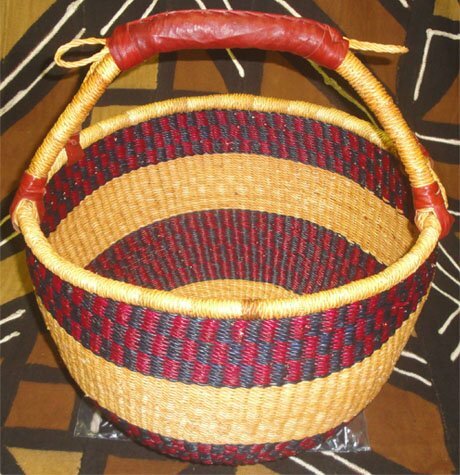 Dyed with colorfast dye with goat skin-covered handles. 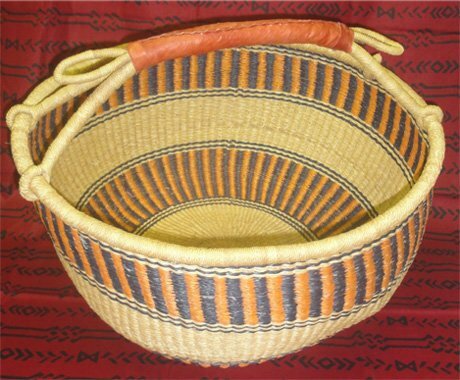 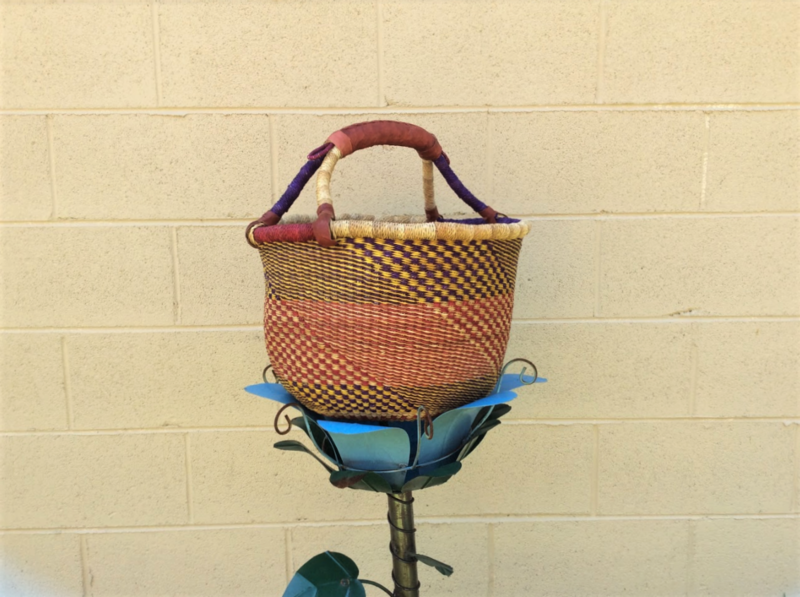 These baskets are useful, durable, beautiful and are fairly traded.